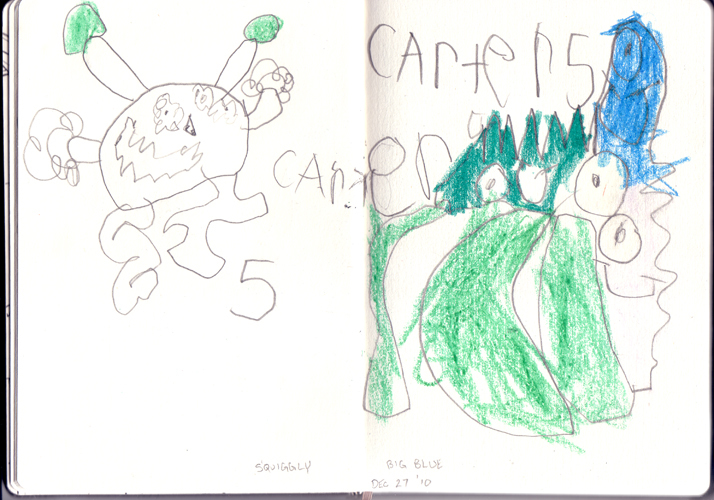 Today’s drawing is courtesy of my five year old nephew Carter. A creative young man with lots and lots of energy. Sorry girls…he’s taken, he already has a long time girlfriend. 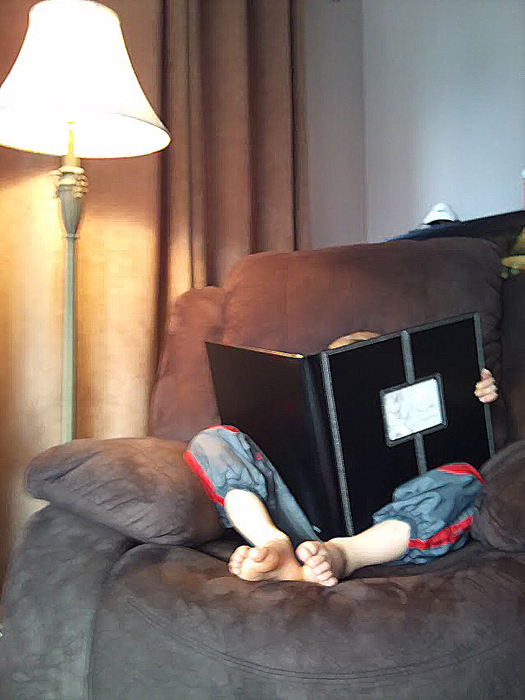 I managed to catch Carter in a moment of quiet contemplation while he was checking out my portfolio album. It’s not often that he sits still enough to get a picture.